Weekend Open Forum: How fast can you type? There was a time when a fast typing speed was an attribute usually reserved for those who sat behind a keyboard all day. But in today’s connected society, it’s not just the likes of secretaries, IT workers, and professional writers that can exceed 60 words per minute. Thanks to the rise in the number of computer owners over the last 35 years, along with the large percentage of the earth's population who now use social media, more people than ever before know that 'QWERTY' isn’t a D&D character and can type using more than one finger. For this weekend open forum, we want to know how fast you can type. But before you comment with a ‘rough’ WPM guesstimate, why not get an exact measurement by testing yourself at The Typing Cat and let us know how well/awful you did. 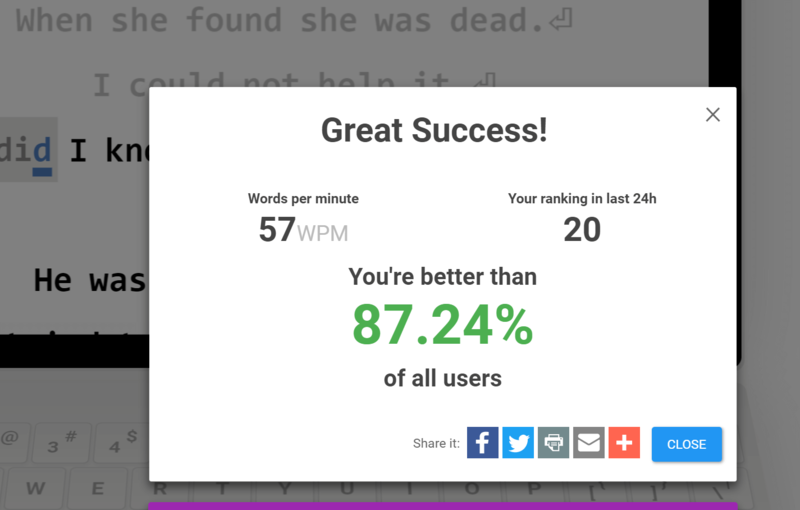 The site's all-time fastest score is an amazing 150 words per minute; how close to that can you get?